In celebration of World Emoji Day, Facebook has today shared some interesting new data that showcases which emojis people around the world are sharing the most. 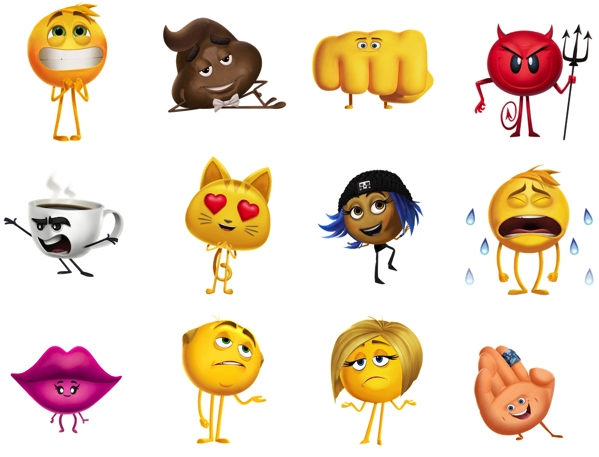 The company has also released a new sticker pack to celebrate the highly-anticipated The Emoji Movie, which is due to hit the cinemas on Monday, July 28th. More than 2 billion people across the globe use Facebook every month as a place to connect and share thoughts, ideas and laughs with friends. More than 60 million emojis are used on Facebook every day and more than 5 billion emojis are used on Messenger every day. The top emoji used on Facebook in the US in the past 30 days is Rolling on the Floor Laughing emoji. The top emoji used on Messenger in the US in the past 30 days is the Face Throwing a Kiss. In the last 30 days, the most used emojis on Facebook globally is the Face With Tears of Joy, followed by Smiling Face With Heart-Shaped Eyes and Face Throwing a Kiss. The most used emojis on Messenger in the last 30 days is the Face With Tears of Joy, followed by Face Throwing a Kiss and Smiling Face With Heart-Shaped Eyes. Facebook’s new The Emoji Movie inspired sticker pack is now live, just ahead of the movie being in theaters, providing fans a great way to make their Messenger conversations about the film much more visual and fun. The new sticker pack is accessible at this link.